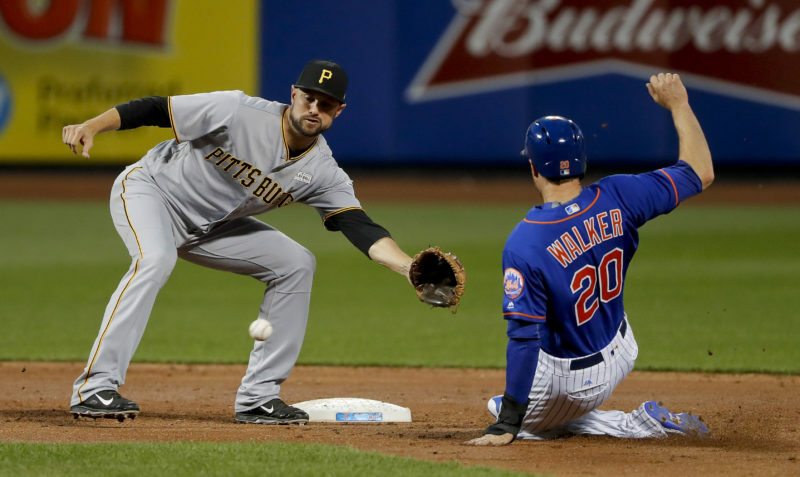 PORT ST. LUCIE, Fla. (AP) — New York Mets second baseman Neil Walker dealt with back issues for almost five years and said not a day went by when he didn’t feel some kind of pain. “I’d probably wake up every single morning and as soon as I’d throw my feet over the side of bed, I could tell whether it was going to be a good or bad day,” Walker said on Wednesday at the Mets’ training camp. Walker now says he has no reason to tiptoe around for fear of hurting his back after having surgery last September to repair a herniated disk. “About three days after surgery when all the drugs were out of my system per se, that (morning) feeling was completely gone. Then it was just a matter of getting back on my feet and getting the strength back. It took about three months, but those feelings are all gone,” he said. “I couldn’t be more excited about that,” he said. The Mets are excited about the prospect of a fit Walker, who hit 23 home runs and batted a team-leading .282 as a replacement for Daniel Murphy at second base. Walker accepted the Mets’ one-year, $17.2 million qualifying offer last November, making him the third-highest paid player in the organization behind Yoenis Cespedes and David Wright. After a late-morning workout that saw Walker take grounders at second base — he will also play third and likely work out at first, and brought gloves for all three positions with him to camp — and swing without a hitch in batting practice, manager Terry Collins said he anticipates a big year from the 31-year-old. Walker gambled on himself on the one-year deal, opting to play with a likely contender in the Mets rather than choosing to go west and play for some clubs that were rebuilding. 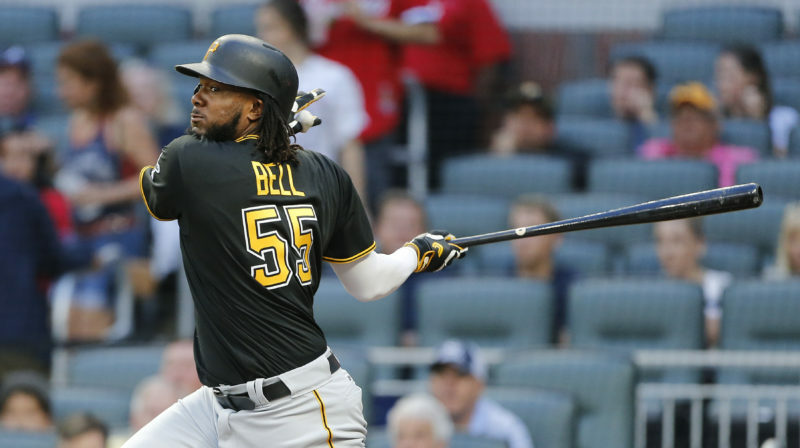 He stopped short of naming the teams that would have offered him lengthier contracts, but he said he had always played in the East and had endured some rough seasons while with the Pittsburgh Pirates. “It could’ve ended up differently, but there was no telling. This was the right move,” he said. Collins said Walker also has a strong presence in the clubhouse and stepped right in to a leadership role last season when Wright went down. “I think leaders are leaders, and I think Neil Walker’s a leader. Even though, hey, it was a new team, he’s one of those guys who’s a good player, plays hard and the guys all like him. You saw it last spring. Therefore, he demands a lot from his teammates,” Collins said. “When we lost the voice of David in there, we needed someone to step up. Neil was the guy,” he said. 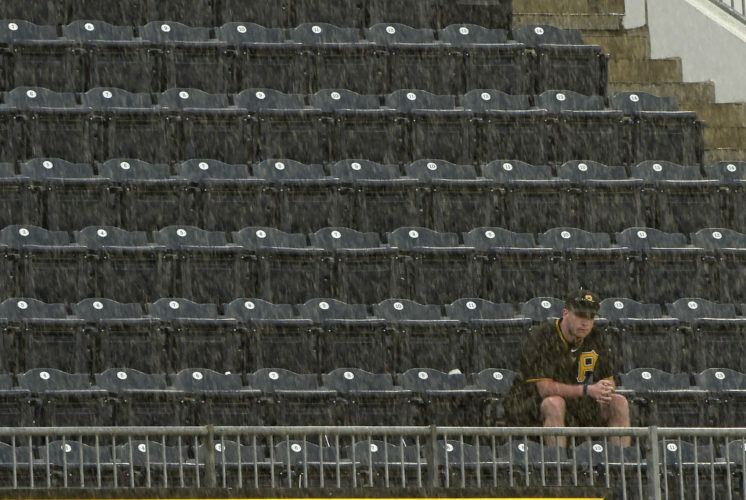 ST. PETERSBURG, Fla. (AP) — Reliever Tony Watson has gone to arbitration with the Pittsburgh Pirates, asking for a raise from $3.45 million to $6 million. 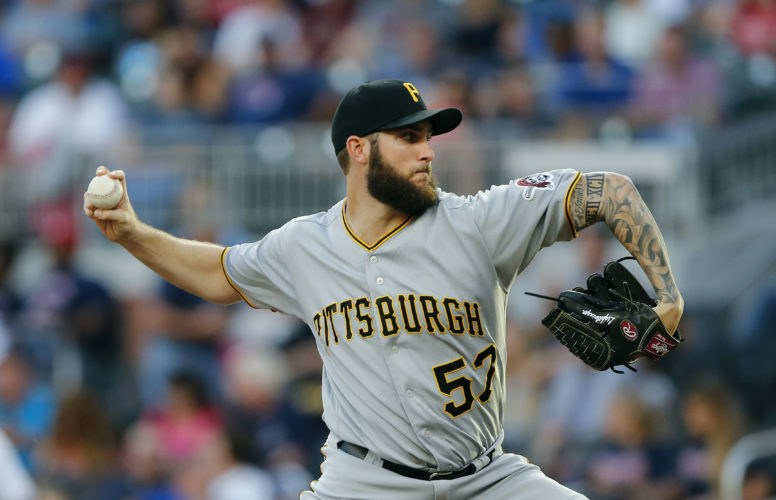 Pittsburgh argued during Wednesday’s hearing he should be paid $5.6 million, A decision by arbitrators Gil Vernon, Jeanne Wood and Steven Wolf is likely Thursday. 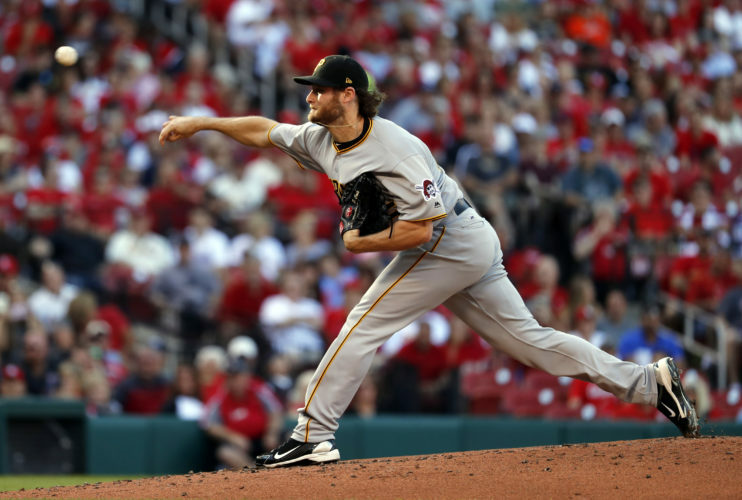 A 31-year-old left-hander, Watson had a 3.06 ERA in 70 relief appearances for the Pirates last year along with a 2-5 record. He was an All-Star in 2014, when he was 10-2 with a 1.63 ERA, and he had a 1.91 ERA in 2015. Watson is eligible for free agency after this season. Teams and players have split 12 cases this winter and the sides are on track for 15 hearings, the most since teams won 10 of 16 decisions in 1994. Two relievers remain scheduled for hearings this week: the New York Yankees’ Dellin Betances and Baltimore’s Brad Brach. ATLANTA (AP) — Atlanta Braves infielder Sean Rodriguez has had surgery to repair the rotator cuff in his left shoulder. The Braves said Wednesday the procedure was performed on Tuesday by Dr. James Andrews in Gulf Springs, Florida. General manager John Coppolella told The Associated Press Rodriguez will miss an “indeterminate period of time.” Coppolella said the team “won’t rule him out for the year.” Rodriguez throws and hits right-handed. Rodriguez, who agreed to an $11.5 million, two-year contract with Atlanta in November, hurt his shoulder when a vehicle he was driving was rammed by a stolen police car in Miami on Jan. 28. The driver of the stolen car was killed. Rodriquez’s wife Giselle and two of their children were hospitalized with injuries she said on her Twitter account were not life-threatening. The Braves acquired second baseman Brandon Phillips from Cincinnati on Sunday.